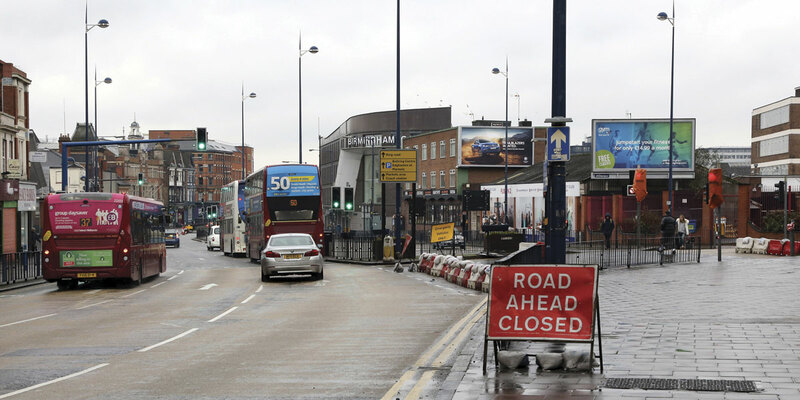 A few barriers, sandbags and signs were all that was needed to remove conflicting traffic flows which often brought the approaches to Birmingham’s Bull Ring to a standstill. 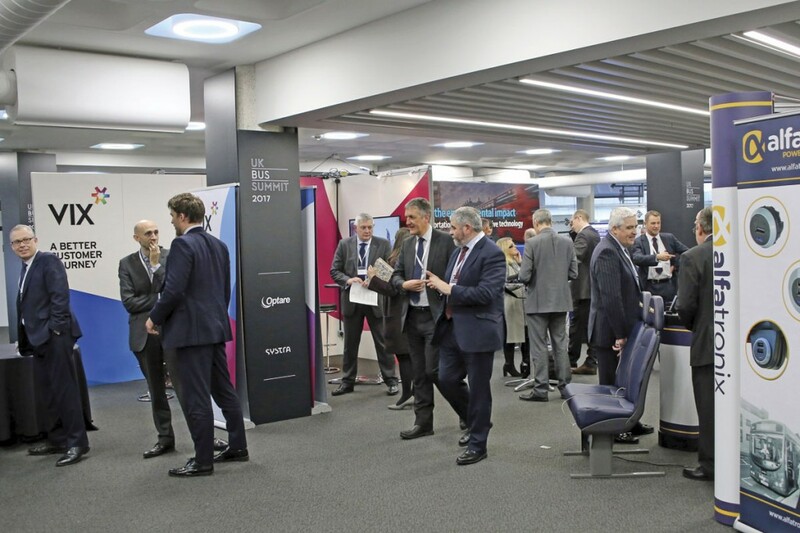 Held at the QEII Conference Centre, Westminster and now in its third year, the UK Bus Summit attracts an excellent and balanced speaker line up and through this delivers a breadth of opinion on the burning topics facing the industry. If you only go to one bus conference a year to keep abreast of the key issues, this is the one to go to. 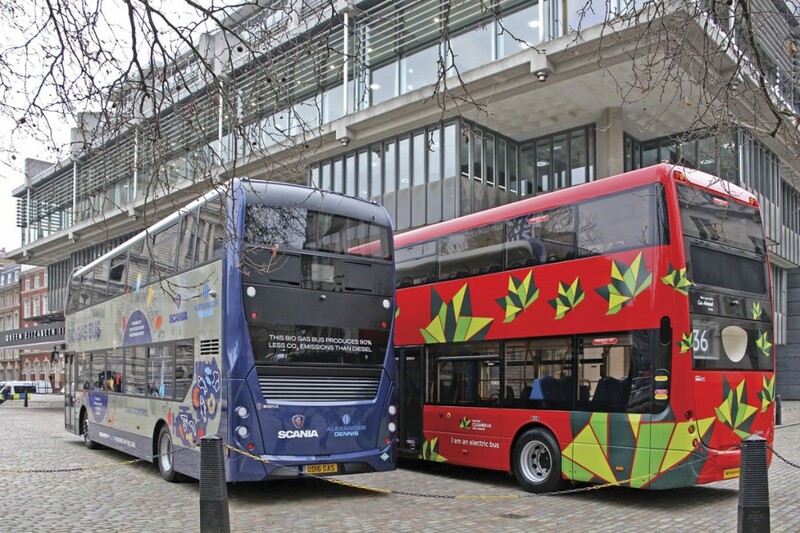 In conjunction with the event, there were a variety of exhibition stands within the area where refreshments were taken and outside Optare displayed a Magtec electric powered Metrodecker EV and Scania a biomethane fuelled double decker with ADL Enviro400 MMC body. 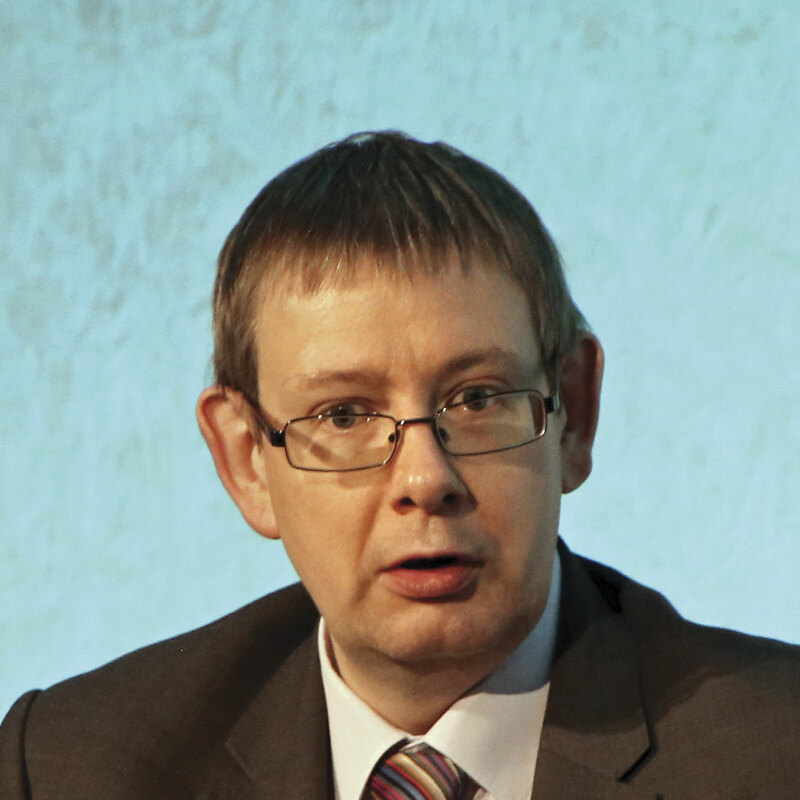 With the exception of the second of the four sessions, which was chaired by Anthony Smith of Passenger Focus, the sessions were all chaired by Prof. David Begg, Chief Executive of Transport Times which organised the Summit, who added his own informed and insightful views on the issues. Giving the keynote speech at 09.00 before answering questions and ‘heading north to make some uncontroversial HS2 decisions’ Andrew Jones MP, Transport Minister said the industry had to be ready for change in 2017. Buses faced a huge challenge, and key in this was how to grow, though he also said, ‘The argument in favour of buses has never been as strong as it is now.’ Buses were essential to making our economy and the communities work but last year patronage had fallen and he saw it as a shared goal to reverse that trend. 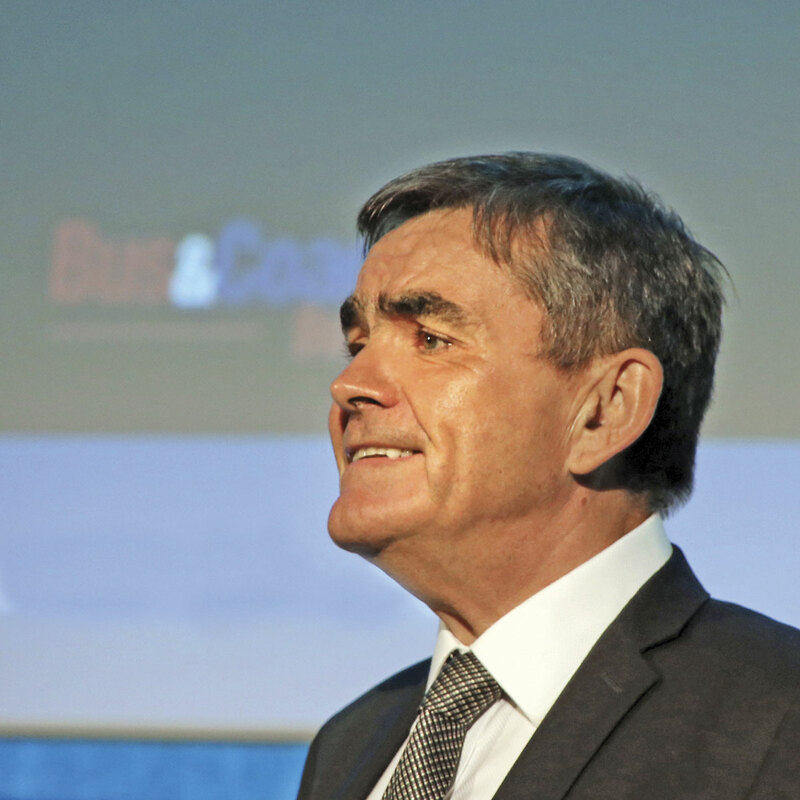 He believed smart ticketing was important and welcomed industry moves to introduce it, highlighting the reduction in dwell times as a benefit. Turning to the Bus Services Bill which re referred to as the Buses Bill he said the Government was extending the range of options available to improve bus services where improvement was needed. He talked of it making partnerships easier and new power for Mayors to franchise services in their areas along with better information for passengers encouraged by open data provisions. The Bill’s progress had been slower than anticipated but the Government had not changed its objectives. The Lords had made changes to it but the Government would be working to restore it to its original form. He believed the Bill would now stay on track with the Government committed to getting it through before the Mayoral elections in May. It was all about partnerships and everyone should share the same objectives, ‘more bums on seats,’ he said, emphasising that what powers were used was for local areas to decide, it wouldn’t be determined by Parliament. He claimed that partnerships also offered rural areas major benefits, something he had to communicate much more. It would allow better integration between other modes of transport and buses. It would also make more information available to passengers through the open data provisions. 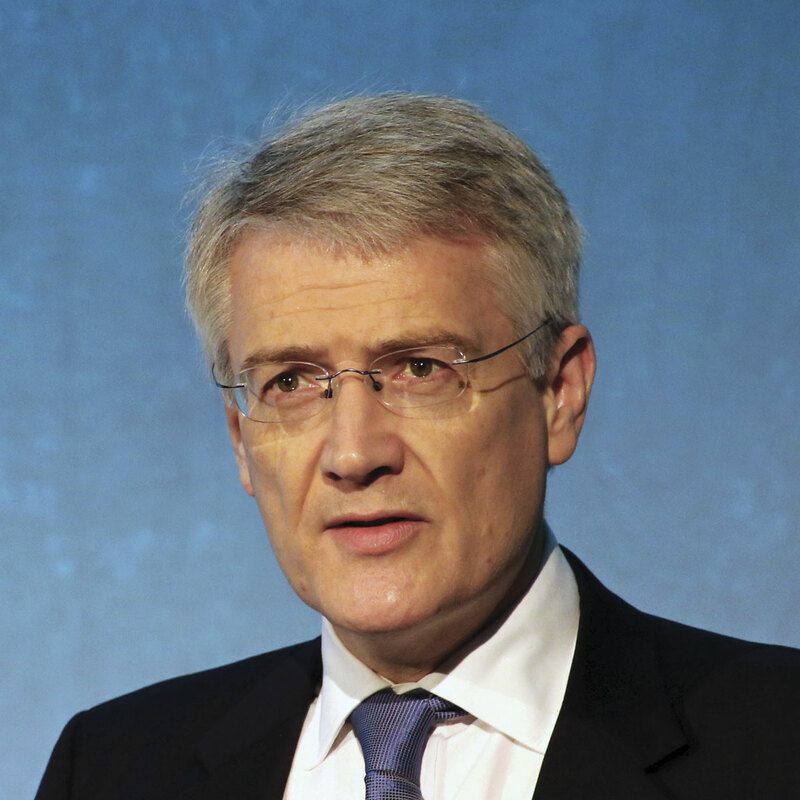 He wanted rural people to have the same access to journey planning and real time information as rail passengers and those travelling in London. He hoped App providers would develop and market products to suit. He recognised that partnerships would not be the best solution everywhere and where elected Mayors of combined authorities adopted franchising powers, private operators would compete for contracts. The challenge was very clear, to unite local authorities, bus operators and Government to show that buses are just as much a key part of our transport future as they have been in the past. The Bill would only be a success if its powers are easy to use and are taken up. He wanted it to be a very practical Bill. He was also asked whether the bus industry was structurally broken after a recent report suggested it was, and heard a Director of the Dales & Bowland Bus Co point out that while it could fill its buses with passengers, at an ENCTS concessionary fare reimbursement rate of only £1.30 for a 30 mile journey it could not make them pay, retorting to the effect that the Government was already paying out over £1 billion and no more ‘subsidy’ would be available. Before the session started, David Begg thanked the sponsors and said he didn’t know whether to be pessimistic or optimistic about the future of the industry. On the one hand Bristol was delivering growth of 19% and Reading 17%, yet the headline growth figure was negative and the wheels were coming off the success story in London. 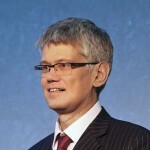 He had been horrified in 2016 by the extent to which the disease of congestion was limiting the sector and noted that where there was growth, it was where car ownership had peaked. He also commented on the double whammy of on-line shopping which meant there were less journeys to the shops and more white vans causing congestion and the inevitability of taking £7bn out of local authority budgets having impact on concessionary spending such as on bus services. When drawing up the agenda for the conference many months ago, relating the first session to Brexit had seemed right but as he couldn’t personally talk on the subject for more than two minutes he invited speakers to go ‘off piste’. He was concerned that the Bus Services Bill was not addressing the key challenges facing the sector and said that if he were setting the agenda today, he would focus half of the day on disruptive technologies. 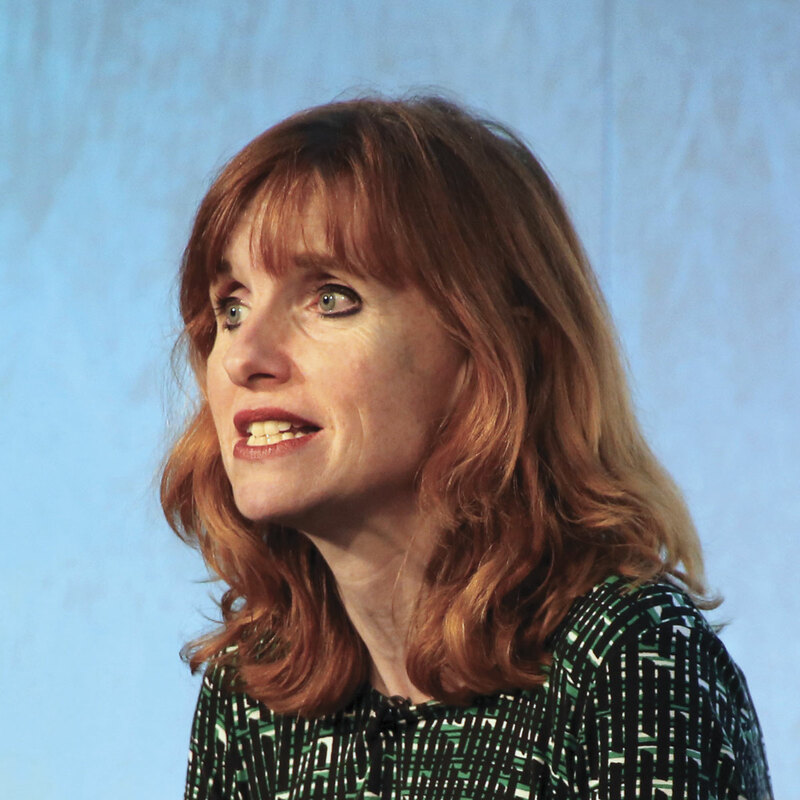 The Deputy Mayor of London for Transport, Val ran through a prepared speech on what TfL is doing entitled ‘Changing bus policy: a London perspective’, though she did begin by energetically refuting that the wheels were coming off. The figures are familiar, 6.5m passengers daily, 700 routes, over 100 night routes and 95% of households within 400m of a bus stop. The Mayor’s new Hoppa fare had been a success and over 40m journeys had been made on it. All buses and 90% of stops were now accessible. TfL’s strategy was to reallocate resources to address changes in demand and thus some bus capacity would come out of the centre to areas of housing growth as the benefits of rail and tube investments impacted on travel patterns in the centre. The biggest opportunity for modal shift was to buses in outer London. Bus speeds were declining overall by 1.3%, though on some routes the reduction was over 9% while others had got quicker. There were a list of initiatives to improve the experience for the traveller, among them the ‘Vision Zero’ safety programme which brought together a number of elements. She concluded that TfL was committed to running the current level of bus mileage and by the end of the business plan would ‘wash its own face’. By the end of the four year Mayoral term it would be the only major city in the Western world that operated without Government subsidy. 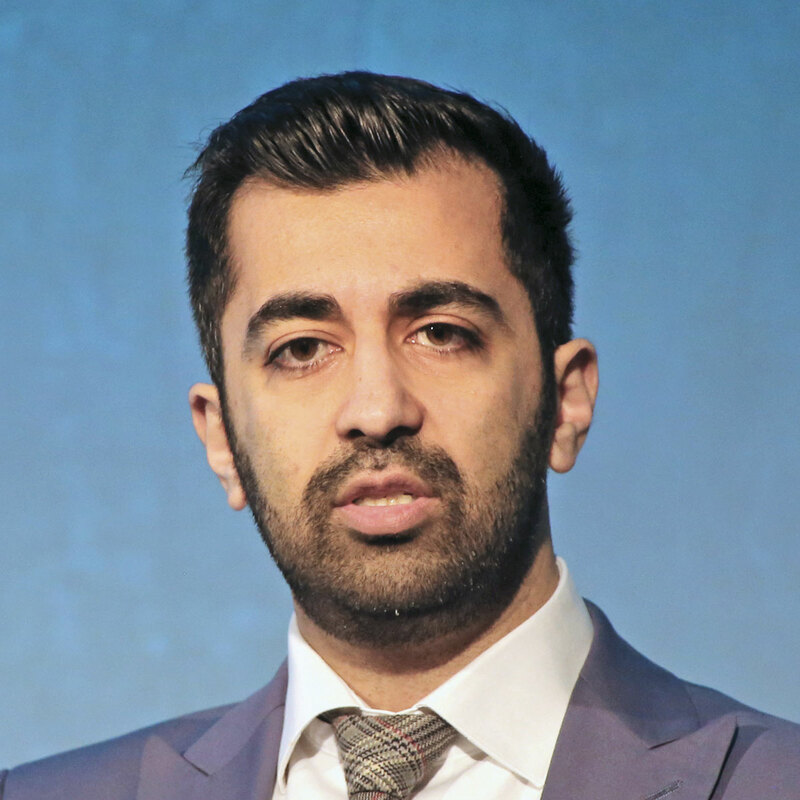 The Scottish Government’s Minister for Transport and the Islands, Humza Yousaf said every region of Scotland had wanted to remain in the EU; migration had been good for Scotland. He was concerned about decline in bus patronage in Glasgow and was getting a better picture of the causes including increased car ownership, out of town shopping and congestion. It now took 50% longer to go through Scotland’s city centres on a bus than it did 50 years ago. His Government was committed to a Transport Bill, probably in the first half of the Parliament, and a big part of it would be bus. Was private car access to city centres right and sustainable? The Bill would look at it. However, he believed bus ownership and regulation was a red herring and his Government was not in favour of changing ownership, though it was keeping a close eye on the Bus Services Bill. Addressing the Brexit issue, he wondered what it would mean for coach services, would there be checks at every border? There was also the risk that we would be out of the single market and the EU and still have all of the rules and standards. 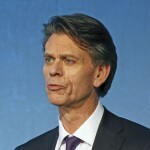 What he saw as fundamental to the bus industry were the same two things as last year. Firstly, tackling congestion, because it is what is killing the industry, and local authority bus funding cuts which are ‘something we just have to accept’. Then there was disruptive technology. ‘Internet shopping is not going away, it’s going to increase.’ He thought Uber was an interesting dynamic. It had been in London and was successful because people liked the convenience and the value, but the further away from London you got, the less was the price advantage. Martin did not believe it was an industry in decline but there were a lot of challenges and things to be worked out. Were the changes temporary? The cost of fuel could be, though the desire for a second car would always be there. He believed everyone underestimated the impact fuel had in the short term. Whatever happened we would have to act accordingly. 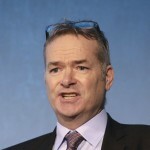 He wondered whether the Southern strike would lead big firms to conclude that they did not need big city centre offices? London having to pay its way had got to be a good thing. 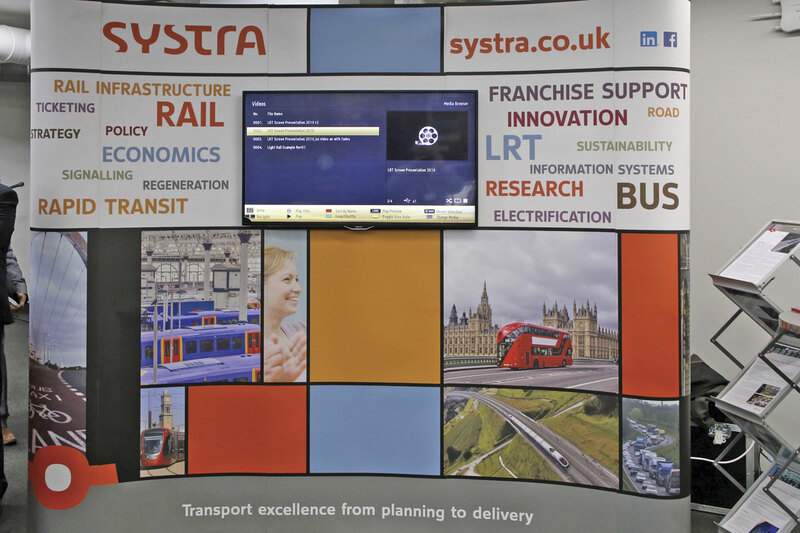 Transport consultancy, SYSTRA was a headline sponsor of the conference and Neill is its West Scotland Business Director. Last year he suggested that at the current rate of decline, the last bus in the UK would run on 24 December 2029, this year, he suggested that Brexit had started with a bus – a reference to the red Neoplan Starliner trumpeting the supposed £350m a week savings that could go toward the NHS. He pondered what we would want to keep or change, mentioning quality standards, driving standards and procurement. There was also the reliance many operators had on overseas drivers. He wondered whether the vote had been people were looking for a change from what they saw as the heavy hand of Government and linked it with the influence of the EU. Perhaps there was an appetite for change. SYSTRA had been looking at the possibilities for rural transport from integrating health and social care with home to school transport. With a 1% efficiency improvement it could save £3.4m annually. Addressing decline, saying that for every Reading or Bristol there was somewhere else where patronage was in a tailspin, he looked at work in the Republic of Ireland. Through simplified networks, higher frequencies, maximising access to the network and comfortable wi-fi equipped buses 6% growth had been achieved in Galway and 6.6% in Cork. This had been achieved against a background of in-house operation though under pressure from the EU, the country was moving towards tendering for services. He concluded with three needs. We needed to avoid a focus on over-simplistic answers, we needed to pick up on how disenfranchised many of our users feel and we needed to have a clear objective and articulate that clearly to politicians. 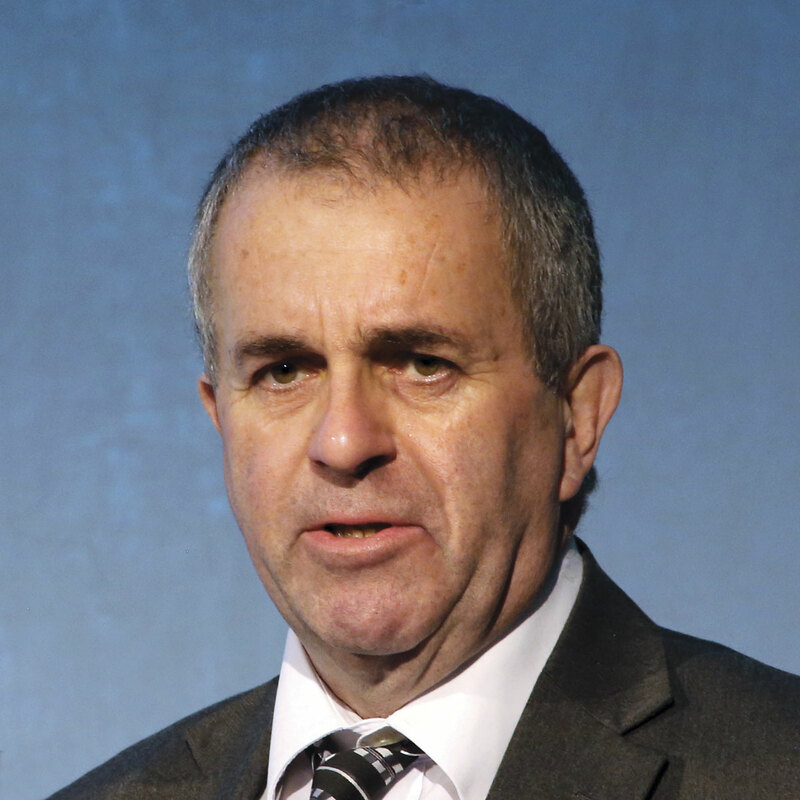 In a question afterwards, John Lamb of JLES Ltd said that the two top issues of concern to delegates were both under the influence of local authorities, yet they still wanted to regulate and own their own companies. An example was traffic lights with some failing to upgrade them despite DfT encouragement and funding to do so. He believed the biggest opportunity for modal shift was through highways. John Carr, now retired, asked whether we shouldn’t go back to maximised person flow targets rather than maximised vehicle flow for highways? Introducing this session, its Chair, Anthony Smith, asked, ‘Is anybody listening and does anybody frankly care about the value of the bus to society, and if they do, how are we going to make them care a little bit more about it?’ He said that the bus had got to be the right choice for passengers if we want them to use it. We live in a consumer society in which people have choice and appear to want more. He also revealed that the next edition of the Bus Passenger Survey would be out next month. 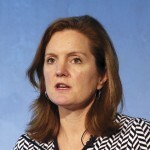 An ever present at UK Bus Summits as Chief Executive of Greener Journeys, Claire said that in this time of political instability there were reasons to be concerned. It was disconcerting to see signs of the settled global consensus on climate change starting to fragment. It had started in America but was echoed over here and it was in all of our interests to guard against any creeping policy reversal on measures to combat climate change. Transport was changing too with incredible innovations in machine learning, commercial robotics and autonomous vehicles pointing the way to an exciting future but they presented challenges as well as opportunities in how the bus sector responds to new disruptive technologies. Bus sector responses to innovations such as mobility as a service would be critical for its future success. Greener Journeys had continued making the case for the bus. In our most congested areas, journey times had increased by 10% per decade leading to a 10-14% decrease in patronage. Not only is this decline in patronage very serious for the bus sector, it has serious knock on consequences for the wider economy because for every year it continued it cost 5,000 jobs. In its recent report on the value of the bus to society, Greener Journeys had been able to show for the first time a definitive link between increased investment in bus services and improvements in health, educations, skills, employment and income. A 10% improvement in bus connectivity would lead to a 3.6% reduction in social deprivation and, in 10% of the UK’s most deprived neighbourhoods that would mean more than 9,000 more people in work, more than 22,000 people with increased income, an increase of 7,300 people with adult skills and 2,600 years less life lost. It was more important than ever that we communicated the benefits of investment in local bus networks to local decision makers. Greener Journeys was going to be working more closely with Local Enterprise Partnerships (LEPs) which is why it had developed the Transport Knowledge Hub, to be launched in March at the LEP conference to provide LEPs and local authorities with the tools and information to make investments that would drive economic growth as well as being a vehicle to demonstrate the benefits of investments in local bus infrastructure. David’s remit was to look at congestion. A year ago the impact of congestion on buses had not been quantified and he had tried to do this. He got frustrated when debates got political with no facts to back up a view and people were simplistic about solutions because it suited their own ideological bent. He asked himself why we had doubled rail patronage in the last 15-20 years when bus patronage growth had been sluggish. He said there was no need to look at ideology for the solution, just at a graph he displayed showing that while urban average speeds for rail, cycling and walking had stayed the same for the past 50 years, speeds for the bus (and the car) had plummeted. Traffic congestion was the single biggest reason why rail travel had grown. Every year bus speeds declined by 1% and statistically we got 1% fewer passengers. If bus speeds had stayed the same, we would have 50% more people travelling by bus. Turning to London, the lesson he had learned was that you could get all the ingredients for successful bus growth right and it would still become challenging if there was congestion because ‘congestion is corrosive’ and was starting to undermine growth. He had come up with a five point, five year plan involving bus speed targets, demand management, bus priority, reduced dwell time and mobilising passengers, but he was not confident in it because without attention to road use, he did not think it provided a solution. He had not put road pricing on his list because politically it was too difficult: politicians did not want it and the public did not want it. He liked the idea of bus speed partnerships to set targets for bus speeds. He also noted that you couldn’t increase motoring costs or rail fares but politically you could increase bus fares. One thing you could do through contactless and smartcard ticketing was to reduce dwell times. 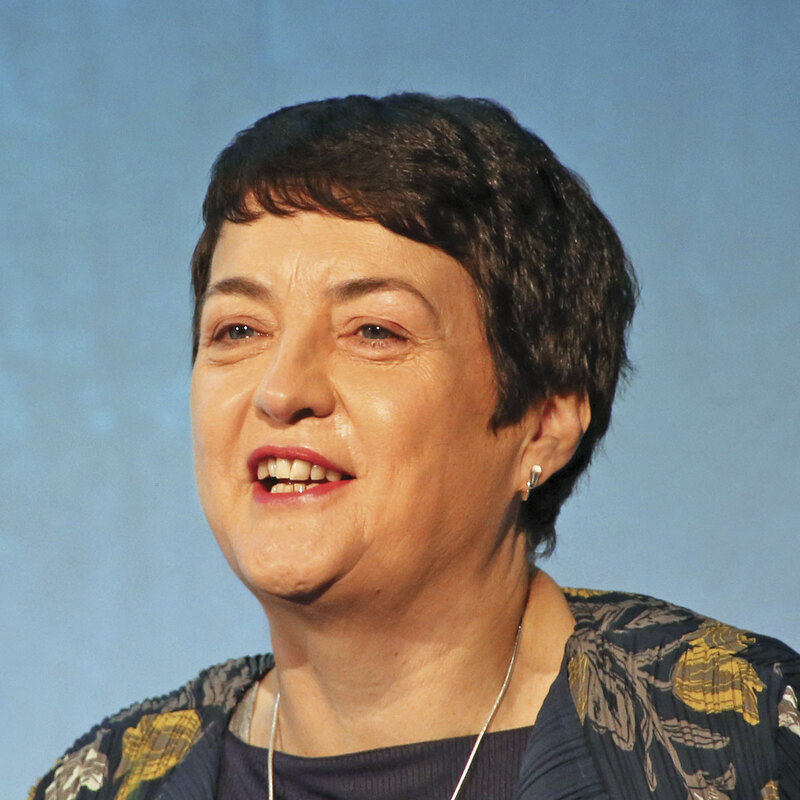 Taking a completely different tack to Val Shawcross earlier, TfL’s MD Surface Transport, addressed how the role of the bus in society is changing, and changing very quickly in a presentation entitled, ‘The Value of the Bus to Society – a London Perspective’. He thought the change was very important because if things didn’t adapt they died, and he was absolutely certain that the bus had to adapt because if it didn’t its future was threatened. In a natural transport hierarchy that society would consider reasonable, at the top would be walking and cycling because it is free and healthy, there’s almost no barrier to entry and it’s very efficient. At the other end of the scale would be the private car, especially with single occupancy. The bus would be near the top because it is mass transit, hugely efficient in road space use, increasingly environmentally friendly, flexible and accessible. This was why London relied on it to such a huge extent and it is its favourite mode of public transport. But things are changing. The sharing economy was a new world in which people rented rather than owned and technology exploited everybody’s ability to optimise networks, in effect being able to buy spare capacity on someone else’s network very cheaply. If you did not recognise this you were clearly too old, because the young were into it. 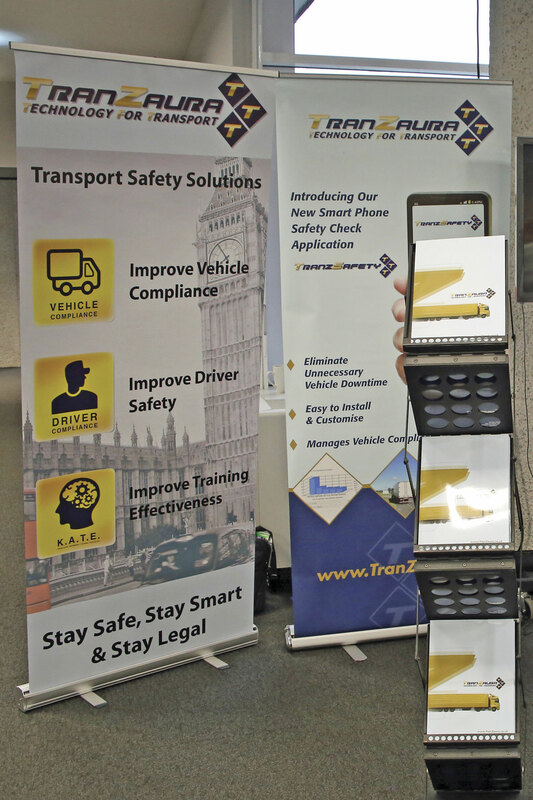 In transport it encouraged the use of more personal forms of transport, because with the phone that they all carry, personal transport is available immediately. With Apps like Gett and Uber Pool, people were choosing to make personal journeys, sometimes shared, for really low prices, on a door to door and potentially accessible network. It was therefore not surprising that, for some people, the red double deck bus with its fixed routes and fixed times is considered sub-optimal for personal journeys. Demand responsive personal transport was now really starting to eat into the traditional public transport market. It was eating away at the economics of mass transit and the first part it was eating at was bus, with its relatively short journeys. The risks were everywhere, in rural areas and in urban areas, especially off peak when shared fares became comparable with the bus. The vehicles used had the potential to further worsen traffic congestion and were already doing so. It was hard to see how to make the balance right. TfL did not have absolute powers to regulate the market. Even in London it could not get powers from Government to control the rickshaw market, nor private hire vehicles which had doubled from 57,000 to 120,000 in the last six years. In London there was commendably strong political leadership which allowed some progress to be made. The bus was an important part of a coordinated agenda that included the economy, air quality, housing, and the whole urban agenda. ‘Make no mistake, in all areas the public is warming to increased personal mobility,’ he said, ‘bus has to innovate in order to stay in the game.’ One area that transport could seek to influence was payment platforms. In London they were lucky to have Oyster. In the future, the evolved public transport offering that includes bus will have to have to have the payment platform as a really important heart to it. TfL had made a mistake many years ago when it had the chance to bring car clubs into the TfL payment platform and didn’t because it saw car clubs as a serious threat. Now it rather wished it had, because they can be part of the solution to reducing car ownership and usage. 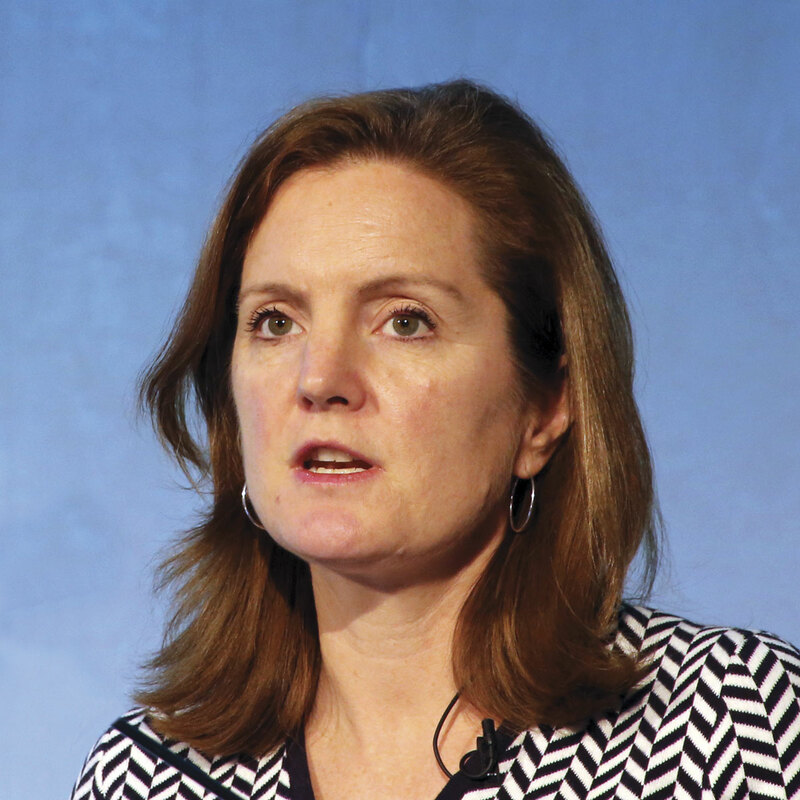 In London, TfL was improving the customer experience, making the payment system even better, improving information and the on board ambience, and addressing all of the pain points that customers told them about. It was using its buses as a call for healthy streets. On a positive note, he pointed out that when television came, people had predicted the end of cinema but the industry had reinvented itself and the opposite was now true. We had to do the same. 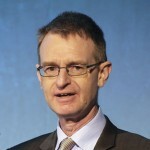 Arriva’s Chief Executive focused on the rural bus market and proposed three and a half hypotheses. He contended that we did not need the rise of the disruptors to see that the market was in peril. The simple traditional market mechanisms were already doing their job on us. The decline, especially over the past two years, seemed much more rooted in general market sentiment than the whiz kids at Uber. 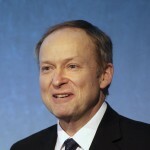 People had their theories on the cause, all of which were to some extent true or false and he had come to the conclusion that we should not spend too much time on forensics, we didn’t need a macro-economic mode model for our markets, we had to stop the bleeding and spend our time and resources turning the industry around. His second hypothesis was that we all had to understand our customers and their travel patterns better. The truths of the pasts, such as put new buses on a route and passengers will follow; marketing simply means our ability to raise prices and keep our passengers on our buses at the same time; and non users will always be non users, and by the way they hate us, had to be challenged. We also had to understand why non users were not using us and achieve a more scientific understanding of our tariffs which, in some places, may have reached a level now that is simply not competitive any more with private transportation. We were more privileged than franchised rail companies facing the same problems with many less levers they could pull. There were many things we could quickly and radically change if we chose to. Thirdly, he suggested that over the past two decades, UK society and bus operators had cut off a significant part of the population from its potential customers. Massive cuts in services along with cuts in BSOG made it almost inevitable for operators to have to restructure the least profitable parts of networks with the known results on services and patronage. This was not only an issue for operators but society too with big areas of white space left on the map of rural areas with no service at all. People had no access and were forced to buy a car. He believed a solution might be to develop low impact solutions that provided at least basic services to white space areas. The likely answers were smaller vehicles, higher flexibility, on demand services and, maybe, integration of modes and in some instances community driven services. The majority of such schemes may not make it over the viability threshold so we needed to come up with partnerships with the community to find a commercially viable financing mode. 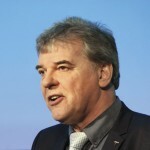 Manfred’s half hypothesis concerned mobilising passengers. He pointed out that if you shut a rail line there was uproar, but when you stopped funding a bus route nothing much happened. As a foreigner he was baffled by this. Referring to comments made by Huw Edwards at the recent CPT Annual Dinner, he said operators needed to tell a much more compelling and bold story to the media. If we didn’t take his advice seriously we would lose the battle. A lively question session followed but space precludes me going into detail. After the lunch, the first session brought together: Andy Eastlake, MD, LowCVP; Giles Fearnley, MD UK Bus, First Group; Robert Drewery, Commercial Director, Optare; and Philip Shadbolt OBE, Chairman, Zeta Automotive. 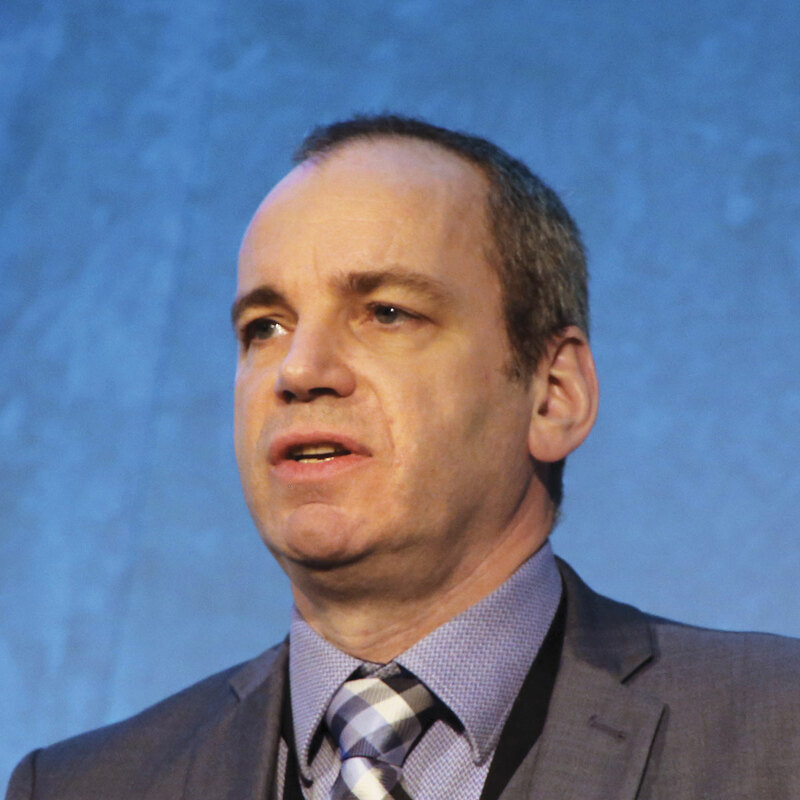 Andy Eastlake told of Low CVP’s latest publication, part three of a trilogy which looked at green buses from the stance of passengers’ experience. They liked quiet engines, reduced vibrations and stop/start technology but didn’t realise about the technology behind it. People had not got the clean green message yet and certainly did not know (neither did David Begg or myself) that the bus today is cleaner than the diesel car today. Four percent of buses delivered in 2016 were pure electric compared with 0.5% of cars. He thought this produced a very optimistic scenario for buses. Giles Fearnley saw the industry’s glass as half full with every opportunity to increase patronage in major markets in the coming years, but it needed to grasp the nettle now. It needed to concentrate on two key areas where there were opportunities, transforming the bus product for a digital age and the clean air agenda. On the first point, FirstBus was ‘within months of a key piece of technology that would provide a quite tremendous, different and 2017 way to communicate with our customers and transact with them as well.’ On mobile ticketing, contactless was fast coming, initially as cash exchange but shortly after with multi operator capping and so forth. 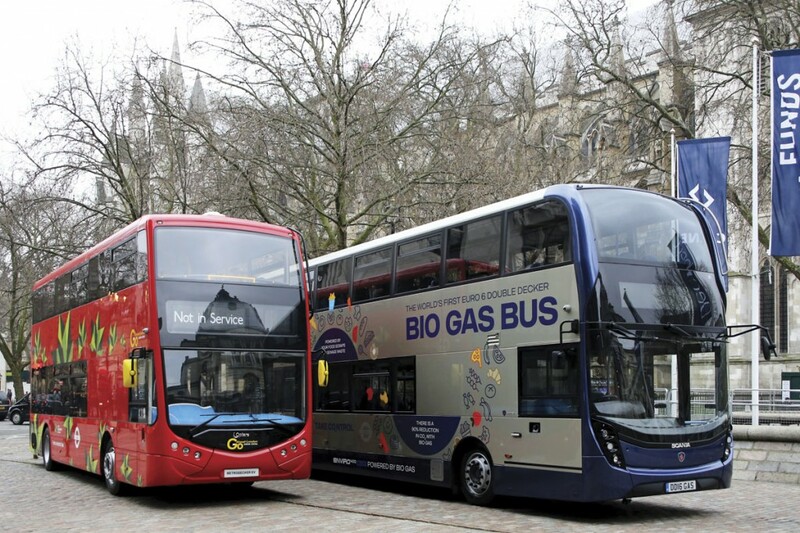 The clean air agenda was becoming a big priority, if not the top priority, with local authorities realising they needed the bus to achieve their ambitions. He was having conversations he couldn’t have had 12 months previously. Cities wanted to encourage people in and encourage retail. First had been Low Carbon Operator of the year in 2016 but however good it was, there was still a public stigma against diesel. He also mentioned the phenomenal success of Vantage, crediting TfGM for its part in a scheme that had taken up to 25 minutes off journey times from Leigh and Atherton to the centre of Manchester. After nine months it was already a phenomenal success and showed what working on high quality services with guts and investment does. 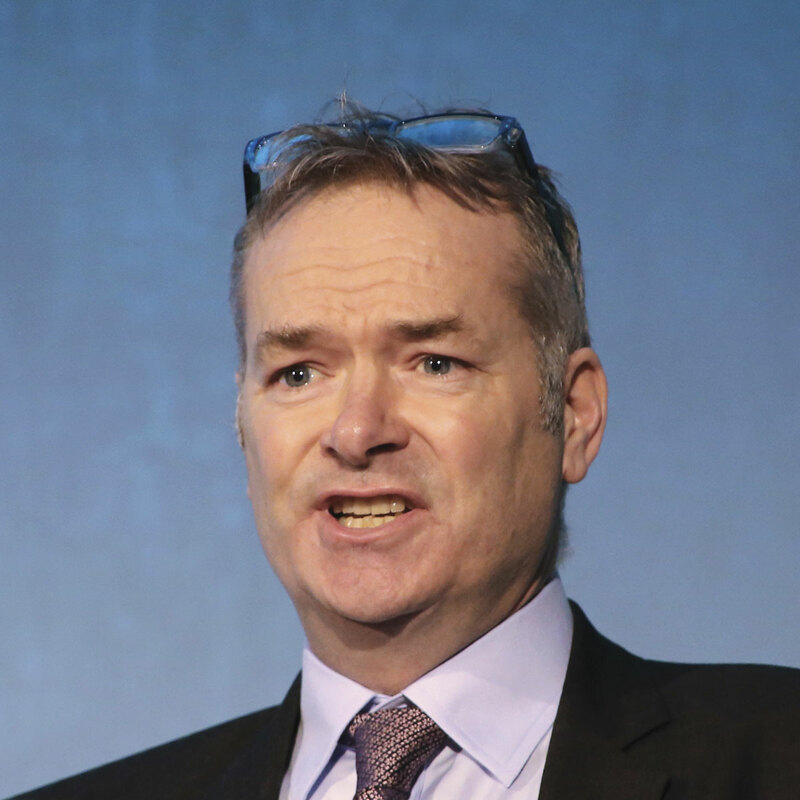 Robert Drewery outlined Optare’s product offering and belief in electric powered buses as a solution for today, not three to five years time. Many of the objections to electric he encountered were myths. 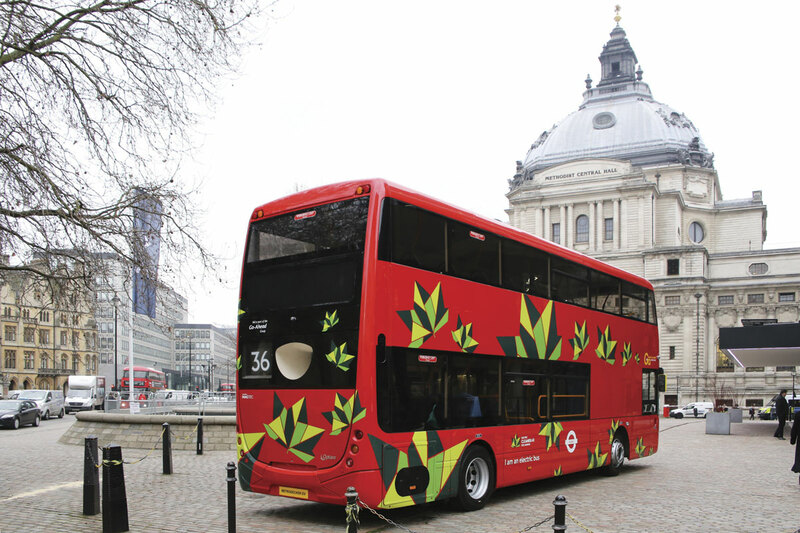 The average daily mileage of routes nationally was 126 miles, less in London and Optare’s buses were now capable of 150miles without the need for opportunity charging. The technology was reliable and so were the batteries which were lasting longer than anticipated with eight years life now being confidently predicted. Battery costs had come down 50% in the last five years although they still represented 75% of the on cost over diesel with additional infrastructure costing up to another 50% . The capacity of the UK grid was 60GW, 20GW of which was not required at night. If the entire UK bus fleet switched to electric it would only require 20% of that unused capacity. He concluded that EV buses were a real green solution, they were here and the journey had already begun. 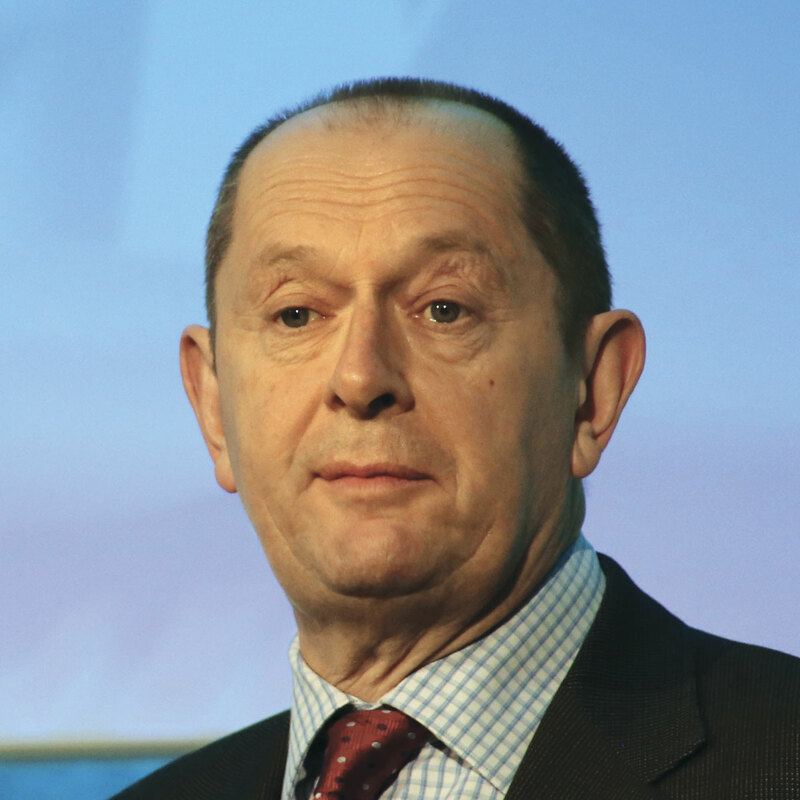 Philip Shadbolt OBE highlighted products Zeta Automotive offers that deliver strong green credentials with regard to operational efficiency, safety and driver engagement. 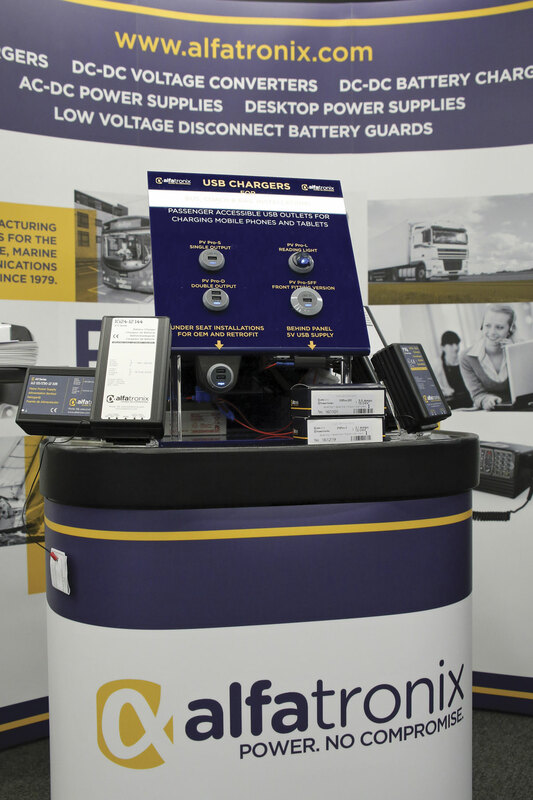 Econospeed Connect delivers savings in fuel and emissions by means of a control on acceleration including the ability to dial in and tune the acceleration profile of a bus. 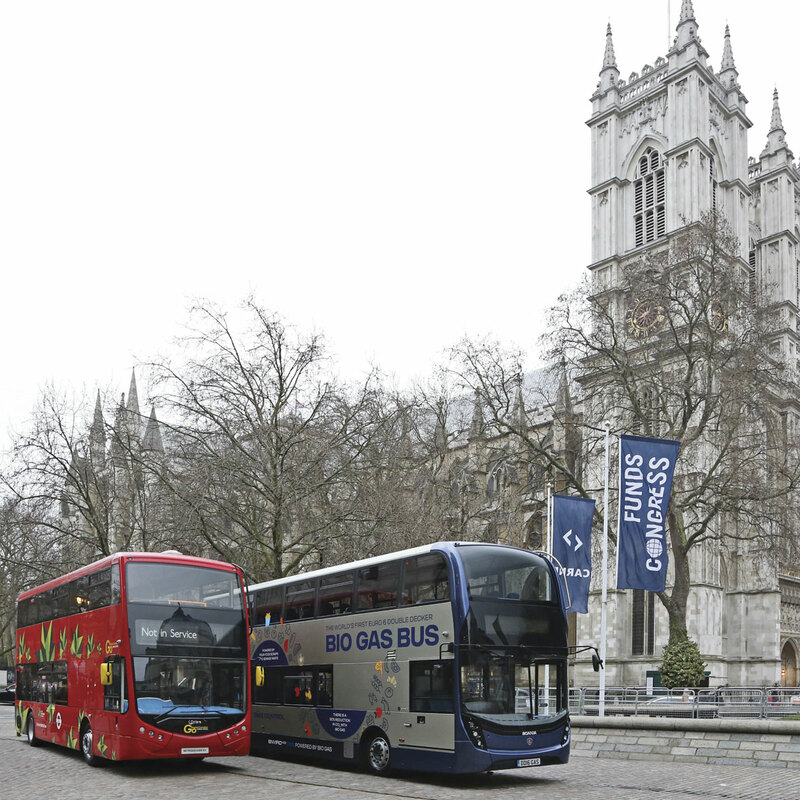 ISA (Intelligent Speed Adaption) automatically limits speeds within zones so that the driver can concentrate on driving and from September will be part of London’s bus safety standard. All systems are fully integrated rather than stand alone. Future possibilities include collision avoidance. Session 4 – What will the Buses Bill mean for bus passengers? MD of Transport for West Midlands, the organisation combining the former Centro and West Midlands ITA, Laura began by saying that long term growth was underpinned by transport. She had a hugely ambitious vision for the region which she set out. Everything they did as TfWM was about integrating transport into helping to deliver wider growth and these wider ambitions. The West Midlands had over 2.5m people making 270m bus journeys every year. There were 12,200 stops all with information, over 5,000 of them with shelters and over 1,750 with real time information which was second only to London and more than all the other ‘PTE’ areas put together. They had the Swift smart card which had gone from 600,000 journeys in January 2016 to over 3m in December. Around 85% of mileage was operated by National Express West Midlands and overall the network was 92% commercial. Subsidy at £7.5m annually was relatively low. 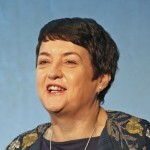 ‘Bus partnership for our region is merely an evolution and not a revolution,’ she said, ‘we have been working together in partnership for a really long time, starting in 2000 with the Transport Act when we started doing at-stop timetables and leaflets consistently across the region.’ There have been many other initiatives in the interim including Partnership Plus before a Statutory Quality Partnership Scheme (SQPS). Partnership challenges included: supporting huge regional growth ambitions, tackling growing congestion, highway management and addressing road space, integration with other modes and who runs the buses? Over 500,000 people are expected to move into the area, the equivalent of a city the size of Liverpool. She was really proud of the West Midlands Bus Alliance which was formed in 2015 and is independently chaired. It was making really good progress in some areas and struggling in others but was working on interventions that could be taken forward to address them. It has seven key themes including: air quality, journey time, reliability, smart ticketing, safety and security, identity and how the network is planned. The two areas presenting the challenges were a slight reduction in patronage and overall average journey speeds. Bus speeds were declining, with a 0.7% increase in journey times in the last year. 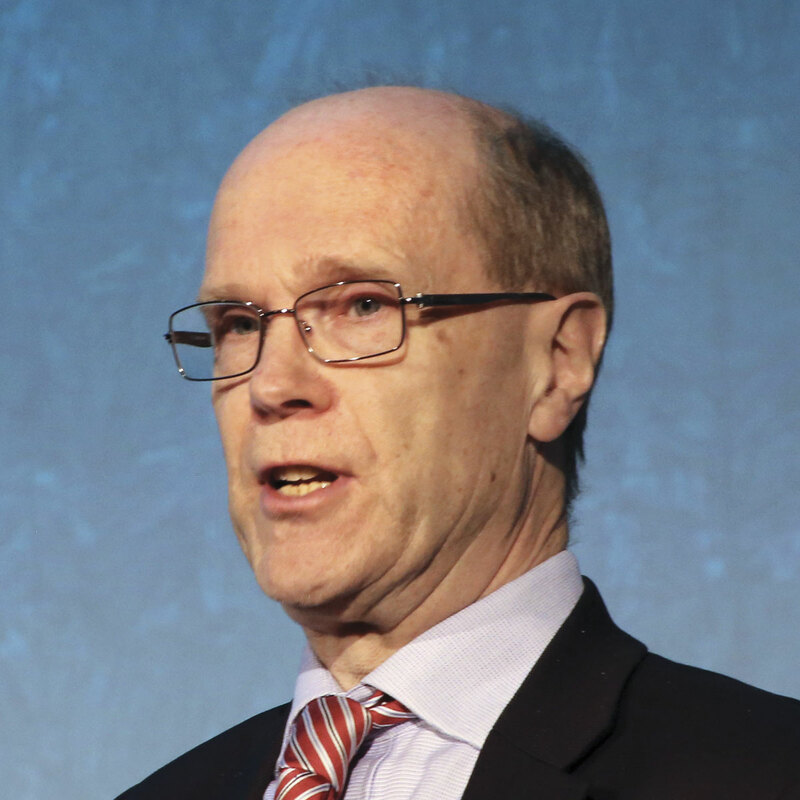 The Executive Sponsor – Integrated and Smart Travel for Transport for the North, John bemoaned the low level of support for transport that the 16m people in the region received in comparison with the south. His presentation, on TftN’s Integrated and Smart Travel Programme was detailed with some packed slides but the overall emphasis was that, based on research carried out, passengers in the region wanted better transport where better fares, ticketing/payment and information were relevant to six of the top ten issues on their priority wish list. To this end, the Smart North programme was being developed to make it easier for passengers to work out the best journey and travel options, make the pricing simple to understand and make it easier to pay. The programme objectives were to enable economic growth in the North, to improve the customer experience, to increase operational efficiency across the transport network and provide a consistent and familiar travel experience throughout the North. He claimed that the ‘Pay-as-you-go’ and ‘fair price promise’ elements incorporated in the scheme required a sophisticated back office. TftN was working closely with operators regarding the specification, procurement and management of a back office for account based travel as the scheme required participation by all, not some, bus operators. He said the Advance Ticketing Scheme provisions in the Bus Services Bill would potentially secure full participation, but would need to be utilised after full consultation. In summary, John said Transport for North had developed a customer centric programme to improve information services and ticketing/payment options to meet current and future customer expectations. He believed this would mean better access to jobs, training and leisure for bus passengers in the north, as well as more bus passengers and a stronger economy and that the Bus Services Bill provided valuable support for achieving the programme’s vision and objectives. Chief Executive of Go-Ahead, David said it could be said that the time for the Bill had already passed. It was two and a half years on and the circumstances and the people had changed. It was only down to the efforts of the staff at the DfT that it delivered anything in a viable form. It contained a wealth of possibilities. It was not a set of instructions, it was an enabling platform and used properly, and wisely, it should deliver benefits to passengers. The partnership measures should encourage and enable local authorities and operators to sit down in the same room and work out common sense improvements about things that really made a difference, like congestion. It could help coordinate services and common ticketing. Working in partnership, it was inconceivable that parties would not want to improve congestion. Bus passengers wanted regular reliable services and these were undermined by congestion. We had to do better on road space and use it in ways that benefited the travelling public the most. Neither local authorities nor operators could solve the issue alone. The industry was already one step ahead of the Bill, working together to roll out contactless ticketing and multi operator pricing. This was not driven by politics but by competition. Like any tool kit, it could be used well or it could be used badly. He was hoping there was a scaling back of the confrontational rhetoric that had been heard two years previously. He believed things had moved on and there was a realisation that operators and local authorities had to work together. The last thing the passenger wanted to see was any undermining of the essential flow of private sector investment into services. It was not a steady state world any more. Over the past 50 years there had been predictable incremental technological changes but now it was all changing faster than anyone had thought ten years ago and everyone had to be flexible. On a city scale, it was time to focus on what we could do together. In a subsequent question, he said his biggest worry about the loss of rural routes was that their loss undermined the propensity to use the bus. The MD UK Bus of National Express Group had not quite read every one of the 151 pages of the Bill since it came out the day before but thought a lot of what was in it had already been in place before, if somewhat clunky. It had to be understandable, useable and real so the way the Bill had progressed was good to see. It simplified the legislation and he welcomed the clarification and guidance. He was focused on outcomes for his customers and what they wanted was safe, reliable, punctual and quick services. It had been good to hear the minister state that partnerships were at the heart of the Bill because that was what they were doing in the West Midlands. They were not waiting around. The West Midlands Bus Alliance was already investing £150m in what the Bill wanted. The Alliance was chaired by Transport Focus, the customer was everything, and customer satisfaction targets were set at 85% though NEWM was achieving 87%. They had smart ticketing with the largest scheme outside London, with a Swift transaction every second. They were investing millions in new smart ticketing machines delivering contactless M-ticketing, there was a commitment to keep fares low, they were investing in high quality ‘Platinum’ vehicles, they had halved emissions in five years and would again next year. They had route branding that made sense to passengers, and they had highways improvements, one of his favourites being a £4.5m project on Lode Lane in Birmingham that had made the journey eight minutes quicker for 25,000 customers. The disruptor that worried him most was not Uber but congestion, the friend of the railway and the enemy of the bus. The Bill would not mean much to passengers if we did not tackle congestion. Whatever the regulatory model, you’d still be stuck in the same traffic. As operators, they were investing in everything but needed the political will to make the brave decisions that will benefit transport and will therefore benefit everyone. As the Minister had confirmed, there was no more money from the public purse, he got that, but that wasn’t what he was asking for, he wanted priority for multi occupancy vehicles. It didn’t always cost a fortune as Birmingham City Council had shown. On Moat Lane ten sandbags and a couple of road signs had enabled quicker journeys for 50,000 residents. He believed there should be realistic and meaningful bus journey time targets that should be registered with the authorities who should provide enforcement. He wanted to see bus journey speed targets as part of partnership agreements. If we did, he felt the Bus Services Bill would mean a lot for passengers. 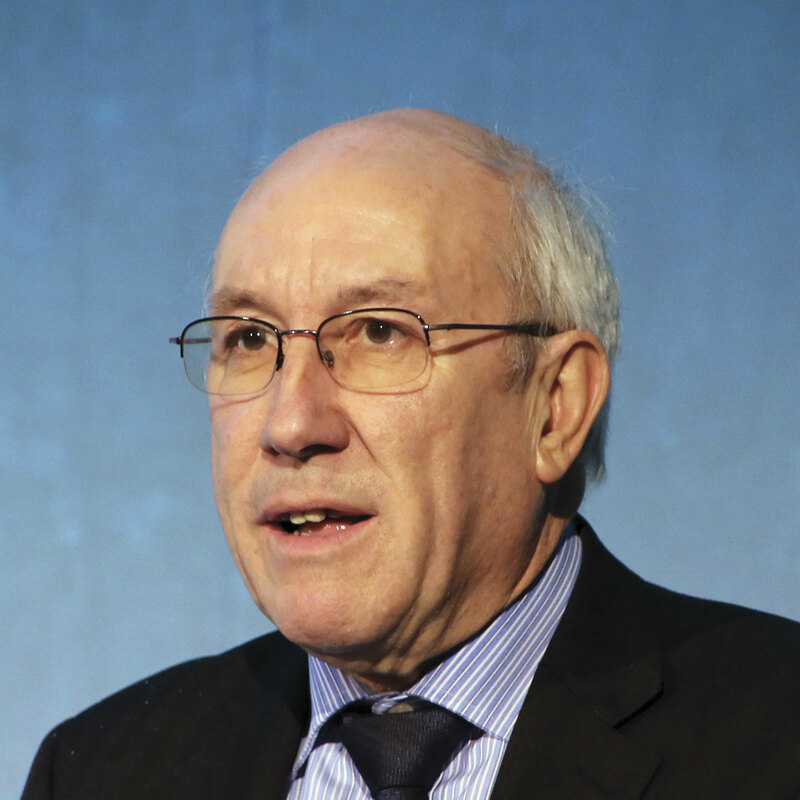 In his closing comments, Professor Begg said that he would only regulate where there had been market failure, as there had been in north Manchester from 2006-2010 when First Group was failing its passengers and shareholders. 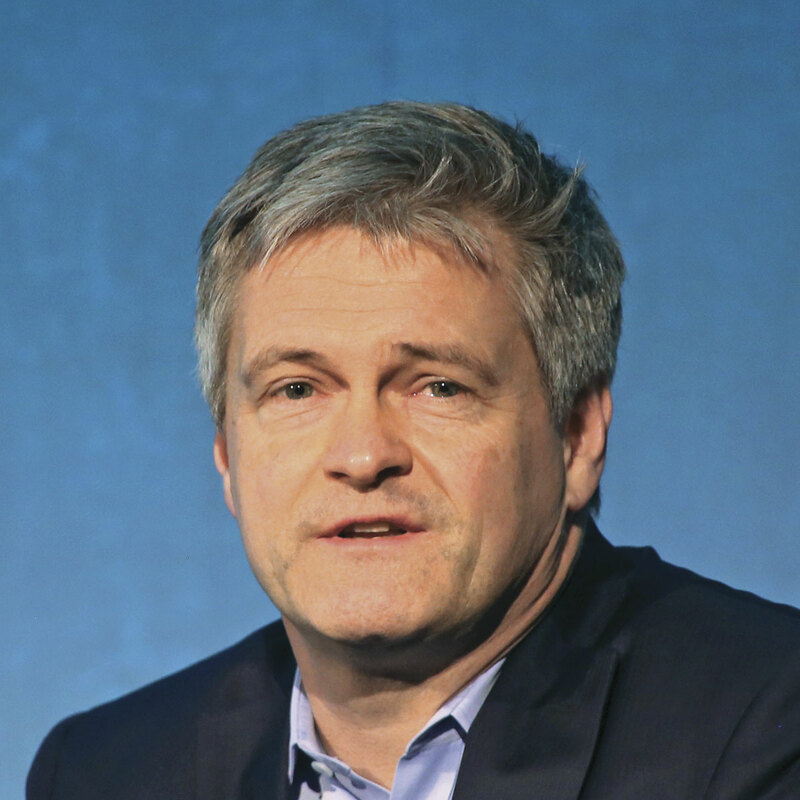 He asked whose job it was to define market failure and said he had never seen a need for regulation if the Big Five could sort network ticketing. He believed a key challenge was who was going to regulate disruptive technology. The Congestion Charge had taken 60,000 vehicles out of Central London but Uber had put 20,000 back in. Good though this conference was, I left it with a nagging feeling that an opportunity was being lost. The focus on bus that the Bus Services Bill brings has to be helpful in that at least we are not being completely forgotten at a time when vast amounts of money are going into a rail scheme benefitting comparatively few, but despite the good efforts of many, not least the staff of the DfT, it does not address the crucial issues, the most important of which is congestion. There are solutions such as road pricing but, as was made clear, our politicians don’t have the stomach for them. They’ll have to do something in the end. Furthermore, as far as the Government is concerned, it wants rural buses but they will have to make a profit without subsidy and with the burden of an inadequate revenue foregone reimbursement scheme.